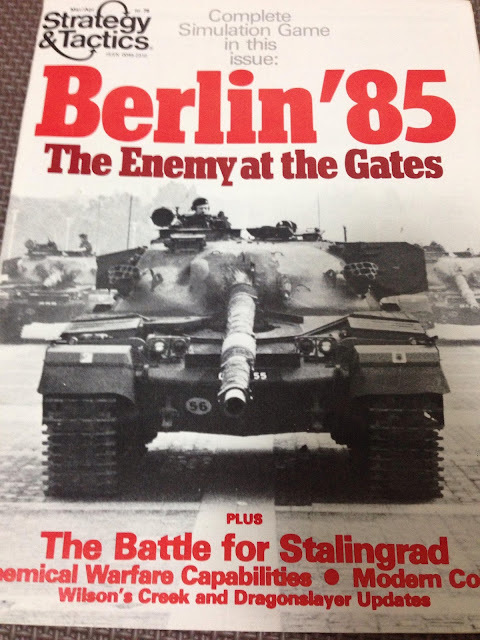 I've spent some time with Berlin '85 over the past couple of weeks now. I find it to be a bloody game with a peculiar agony awaiting both players who venture down its path. If you have already played the game, you will understand exactly what I mean. For those, who haven't tried it, you'll get an idea when you read the full playthrough report. I wanted to get something out there for B85 since I've been getting lots of people asking and posting and commenting about it. So here's the Setup and some notes about the game and why I've made certain decisions. 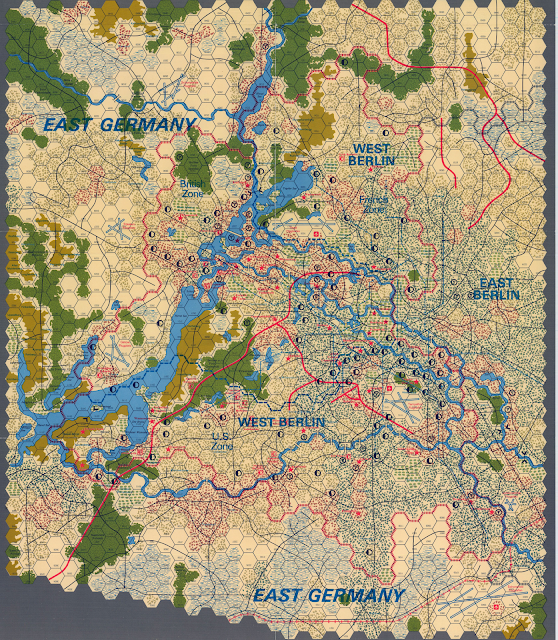 The West German police (the blue units) set up on Supply Hexes anywhere in West Berlin and on any airfield control hexes. The Americans set up in the American sector (duh!) two hexes from any barracks hexes. The French and British do the same in their sectors. But before we do all that, let's look at the lay of the land, my son. For me, 2017 has been the year of the magazine game. Last month's look at Nord Kapp from S&T Fall 1983 was a big hit. I thought it was an excellent game and it deserved a look back after all these years. I've been scooping up some other magazine games lately, some of which have been languishing on the shelves due to a lack of time. It has been a crazy summer so far and shows no signs of slowing as we move from the rainy season here in Japan towards the hot hot heat of tropical summer.